Folk songwriter, publicist and filmmaker Vladimir Merta has always liked to play together with musicians from other genres. Some concerts with our leading jazzmen or rockers have already entered the history of our folk scene. 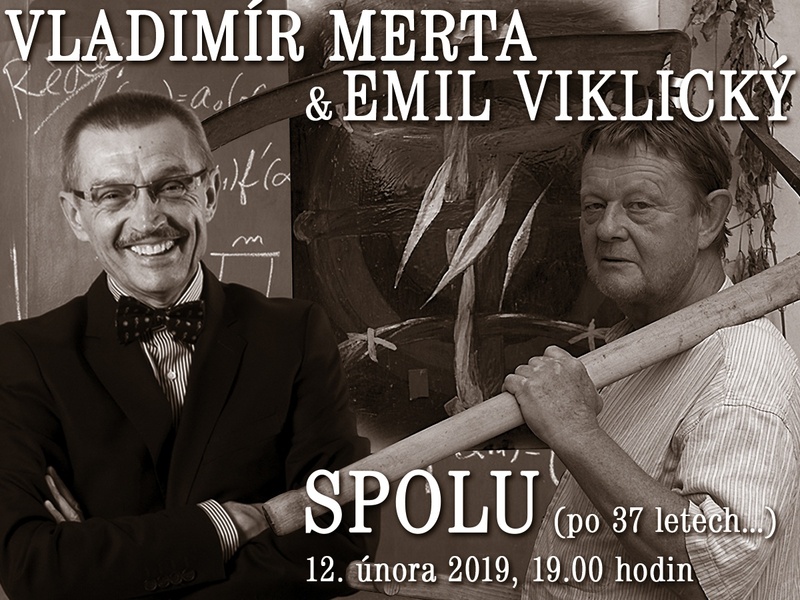 With Emil Viklický, Merta met several times in the studio and at festivals, but the two musicians had only one concert together in 1982. The recording of this concert was published after almost forty years on the album Bílá stížnost (White Complaint), which will be presented during their second concert here at Jazz Dock.